Great customer service! The gentleman on staff was knowledgeable about all the products and help me make some tasty chocolate choices. Had all sorts of delectable chocolates. Was really fun to peruse, and the customer service was professional and well-informed. The lady behind the counter was really nice! There was a large selection of unique chocolates to choose from. The shop seems like a great place to find fancy chocolate for gifts. It was very easy to use Nift. 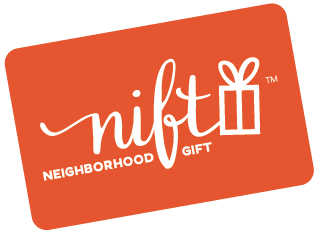 I felt a little bad ordering only $10.50 when Nift gave me a free $10 card - I hope the businesses are compensated?? The rating scale on this page is broken (clicking does not select a number). I would suggest having someone check the code. I give them a 5. What an awesome selection of posh chocolates! And yum - samples!! This shop is a hidden gem in a neighborhood I don't get to often, so I never would have found them without Nift...win-win! Very cute shop. Excited to try out the chocolates we bought!